THERE follows the bull that expressed this corruption in such essential truths as the Creation of the World, Good and Evil, Prayer, Salvation, Sin, The Image of God, The Divine Nature... Notes are attached to the 17 articles considered by the infallible See as certainly false. Not one of them is, but the sick mind who became their judge. Such things are not 'mistakes', they are not miscalculations but falls of life, and thus they were translated into blood, catastrophes and nihilism. It is also sad, that they represent problems which can be easily answered, if one wants to hear the answer. 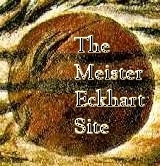 Maybe this explains why Eckhart preferred to confess rather offensively, showing thus that the problem is in life and not in calculation: "I am surprised that they do not bring up more objections against what is written in my different works, for it is well known that I have written a hundred things and more that their ignorance neither understands nor grasps." (Response to the list of Forty-nine articles, 1326). 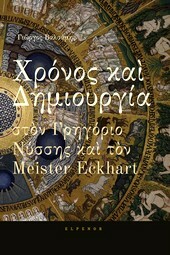 Enlightened by God’s Spirit to a real contact with the living God, and not with a God of concepts, magic and rules, Eckhart became worthy to free himself from the chains of scholasticism, arriving at the living theology of his German sermons. His marginalization was the strongest sign of the previous corruption of papacy which defined also the corruption to come.